Is what The River is all about. Our DJ's and Hosts are genuine and the BEST you will find anywhere in Second Life and they are ready to welcome YOU . At The River, there is a party going on EVERY day, as well as hosting an occasional Concert. It doesn't matter what part of the country you call home, The River is waiting for you to come Rock with us as we are open 24/7. Playing music from the 70's up til todays rock music, and a little southern & pop rock, you are sure to find music to your liking. 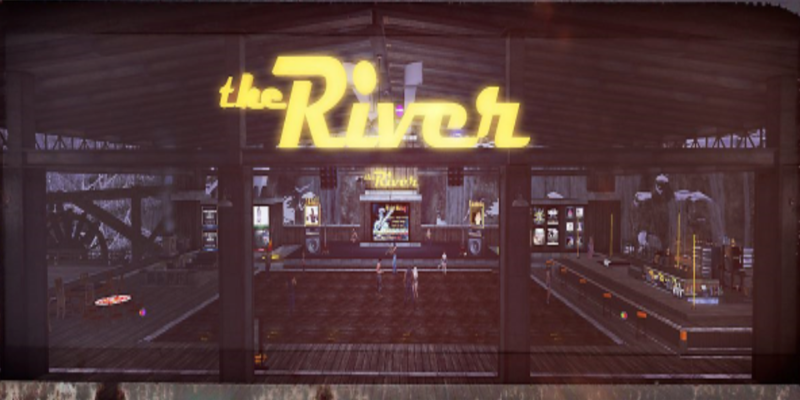 The River was founded by friends, who wanted to create a fun filled atmosphere to dance, listen to music, laugh and meet others. They succeeded. But that is just the beginning ... The River VIP's as well as dedicated staff makes the River the best within Second Life. The River continues to Rock on with Selene Jashan as Owner and will continue and strive to take The River to the next level, whatever that may be. The River has many more friends,....bigger crowds, but with the same laughter and family feel. You may enter The River a stranger.....but you will walk away a FRIEND! Come join us and see for yourself! You can find us in Second Life. We are waiting for you! Apply to be a DJ or Host at the BEST place in SL by filling out the appropriate form.